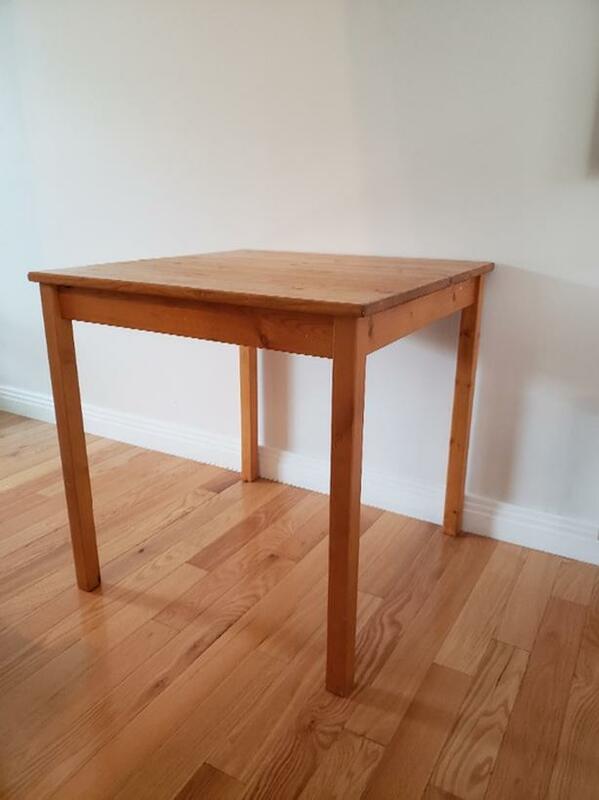 Sturdy, simple table. Dimensions are 29x29x29. We've used it as a desk, a pet grooming table, and a dining table - it's versatile!